We love doing scavenger hunts! My mom made them a lot on holidays, and they would lead to our gifts. As a tween I went to many a birthday party where we ran around the neighborhood asking for paper clips and thumbtacks. Scavenger Hunts are easy to put together, super fun to do, and you usually learn at least one thing while doing them. 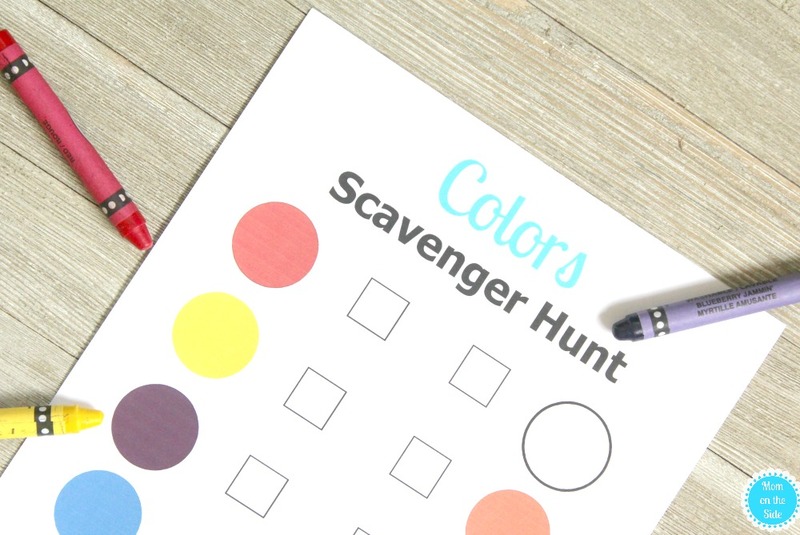 Like this printable Colors Scavenger Hunt for kids! Older kids will have fun because it’s a scavenger hunt and younger kids won’t even realized it’s helping them learn colors while having fun! 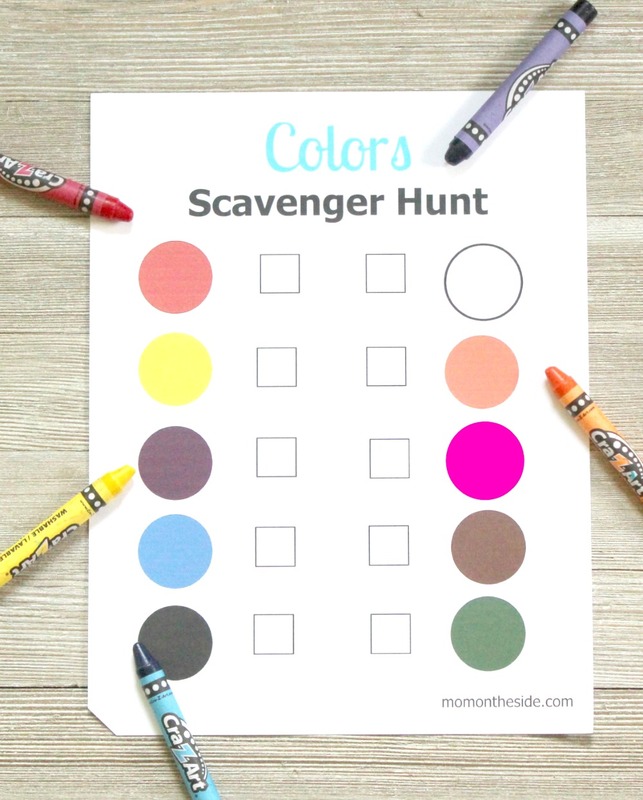 The best thing about a Colors Scavenger Hunt is that it can be done indoors or outdoors! Simply grab this printable scavenger hunt sheet to get started. Go around finding things in the colors on the paper and check them off as you find them. This is a great activity for the kids to do while you are cooking dinner or walking home from school.